Box Text: Magic. Rebellion. Combat. Join Kya on a journey through a strange and mysterious world. Fight and transform evil creatures, master magical powers and soar to new heights. Uncover the secrets and discover the evil behind the Dark Lineage. 02-28-2018 price5474 Box Text Magic. Rebellion. Combat. Join Kya on a journey through a strange and mysterious world. 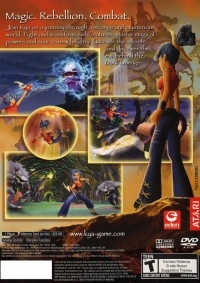 Fight and transform evil creatures, master magical powers and soar to new heights. Uncover the secrets and discover the evil behind the Dark Lineage. 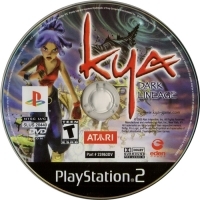 This is a list of VGCollect users who have Kya: Dark Lineage in their Collection. This is a list of VGCollect users who have Kya: Dark Lineage in their Sell List. 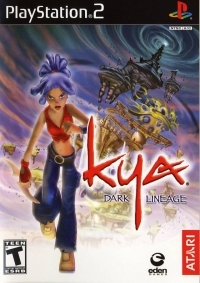 This is a list of VGCollect users who have Kya: Dark Lineage in their Wish List.